We have several types & colors of tea pots and tea cups in the store, and I thought that I would share a couple of collections to give you an idea how to display them. 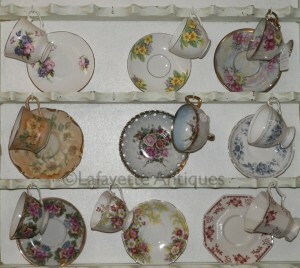 Tea cups & tea pots are also an affordable gift to give. 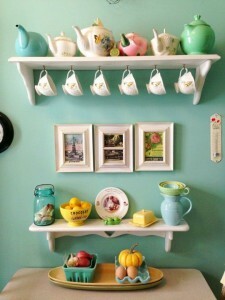 This is such a cute way to display tea cups & tea pots. So simple, but ahhh so cute. Love the mix of the colors! 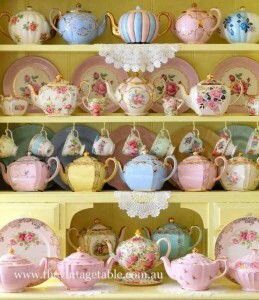 Another beautiful display of tea pots and tea cups. We love to see you collections, please share! 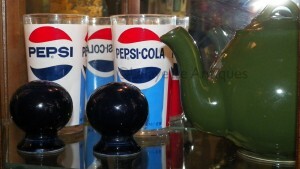 We have replenished our selection of vintage tea cups & an hard to find vintage Lipton Tea Pots by Hall. The wedding season is upon us and a lot of the brides are having tea parties for their bridal showers. 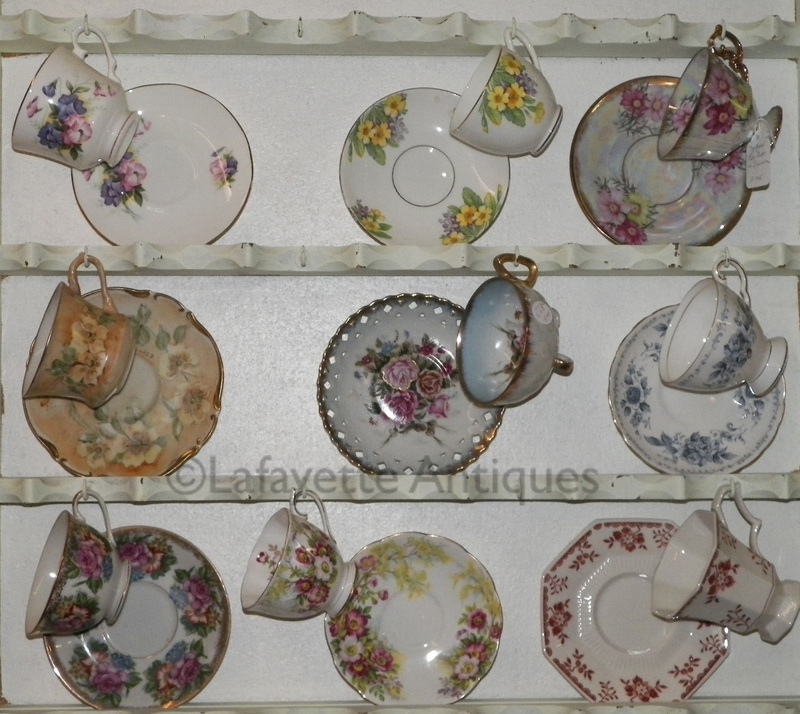 We have a nice selection of cake plates, tid-bit trays, and more! 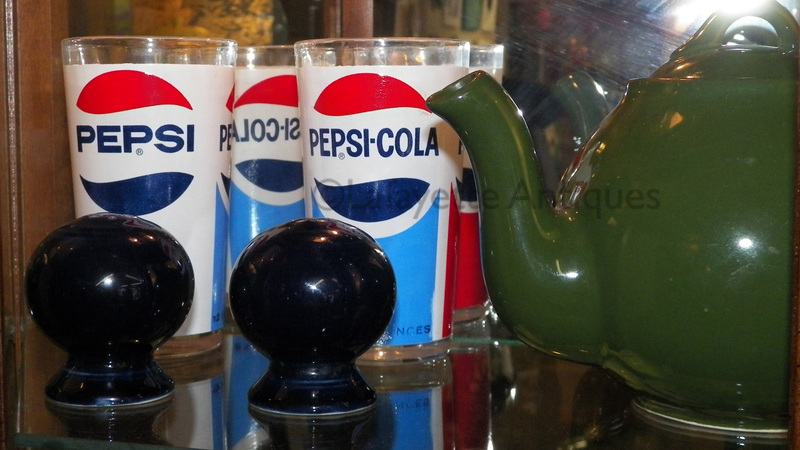 This is just a small sampling of the tea cups we have in the store. Let us know if you’re looking for something special that you don’t see!